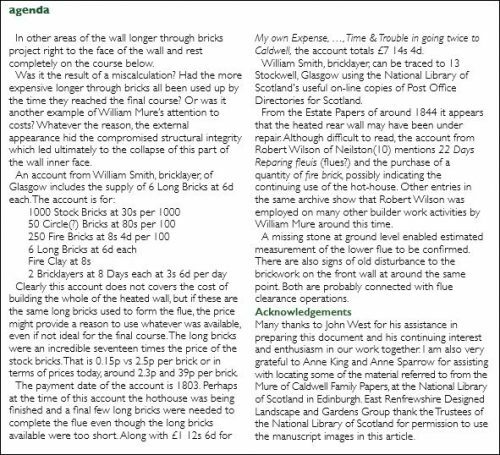 Many thanks to Anthony Shaw. 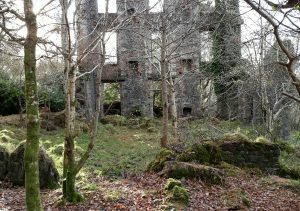 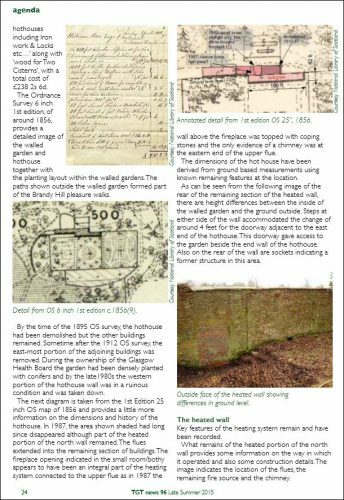 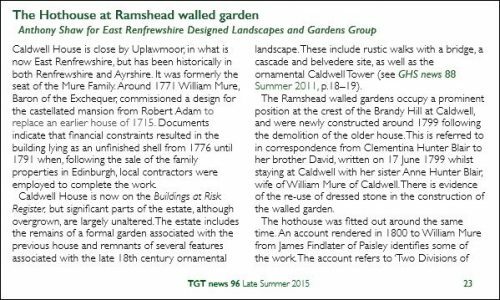 A hothouse was fitted out around 1799. 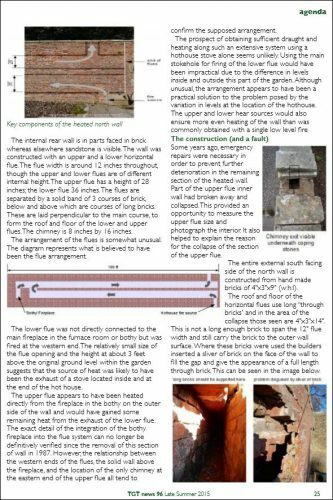 Key features of the heating system remain and have been recorded. 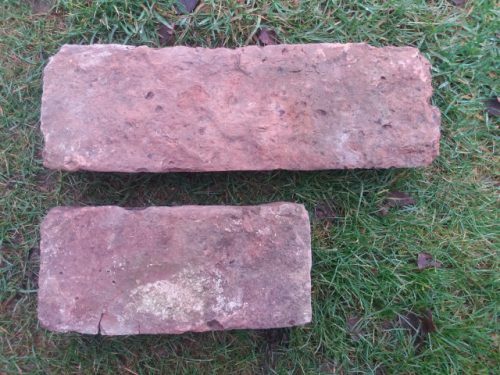 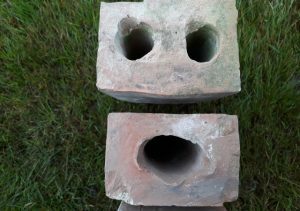 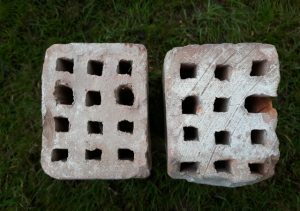 Below – 2 bricks recovered from the collapsed wall. 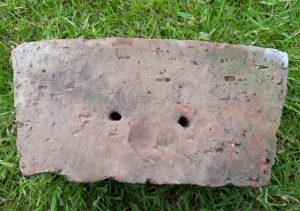 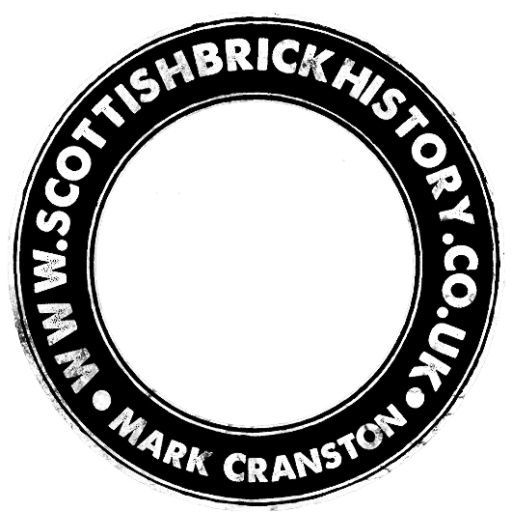 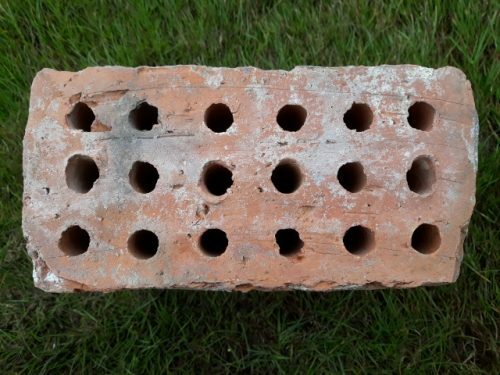 Below – a cored brick found at same location. 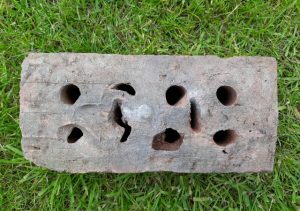 Note the middle line of cores. 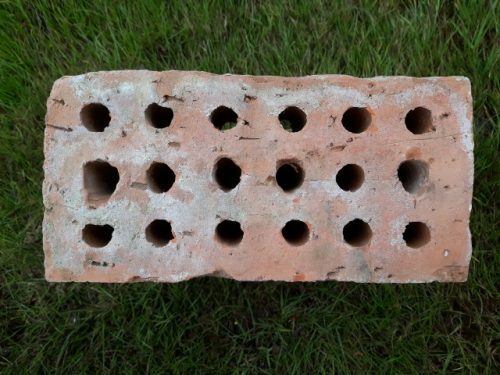 Holes 1, 3, 4 and 6 appear to have hand some sort of lifting device inserted. 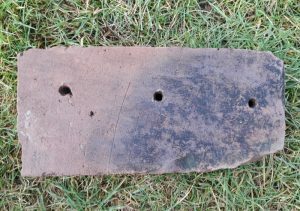 It may have also been lifted from the other side as the same holes look slightly misshapen. 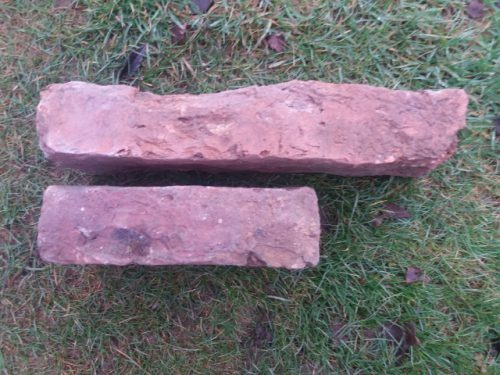 It is unlikely that the lifting tool would have penetrated the entire depth of the brick.